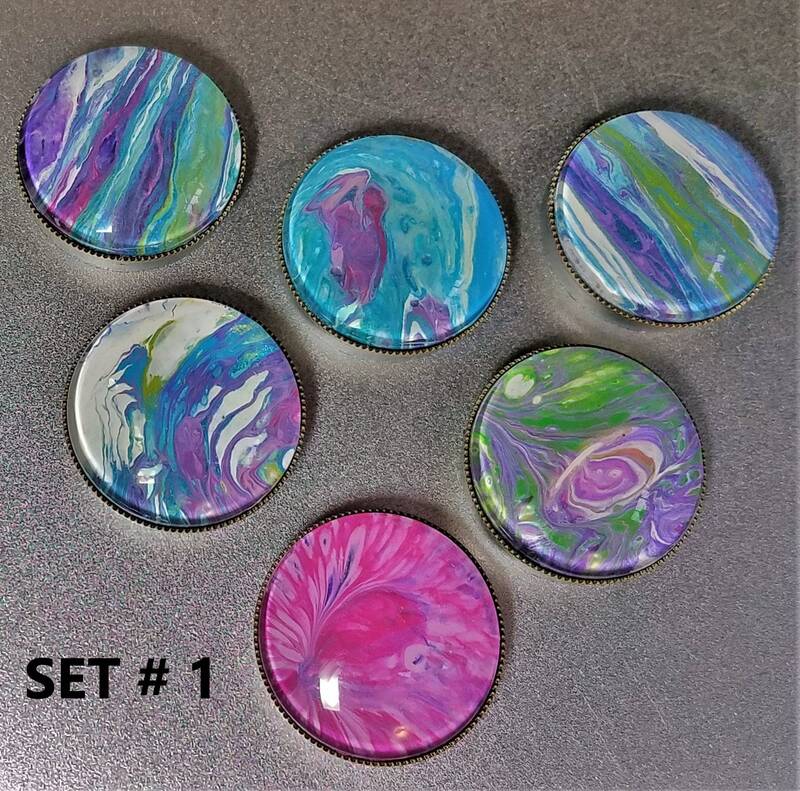 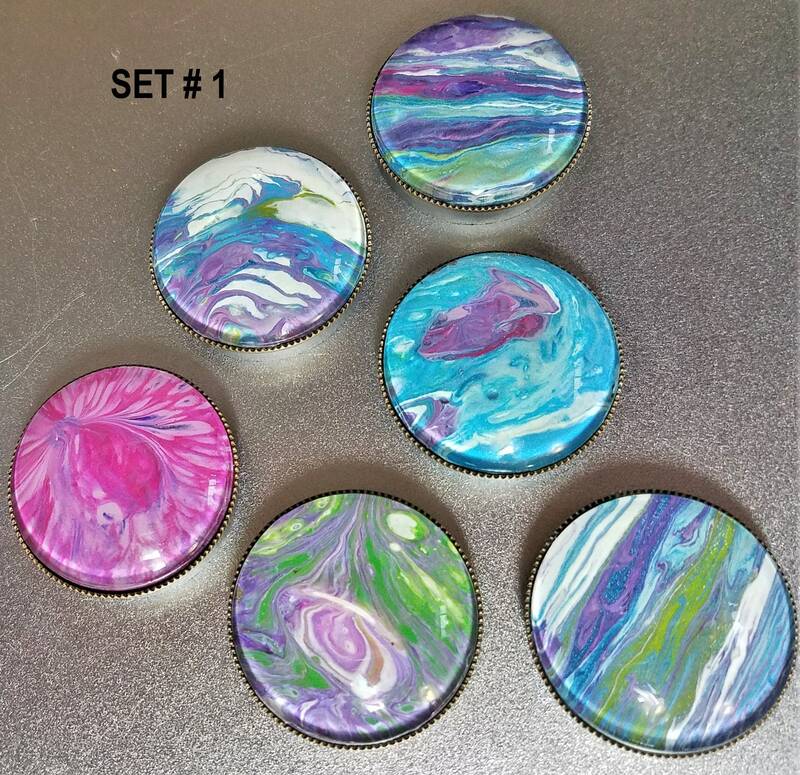 Decorate your message board, office file cabinet or school locker with my large hand painted colorful magnets. 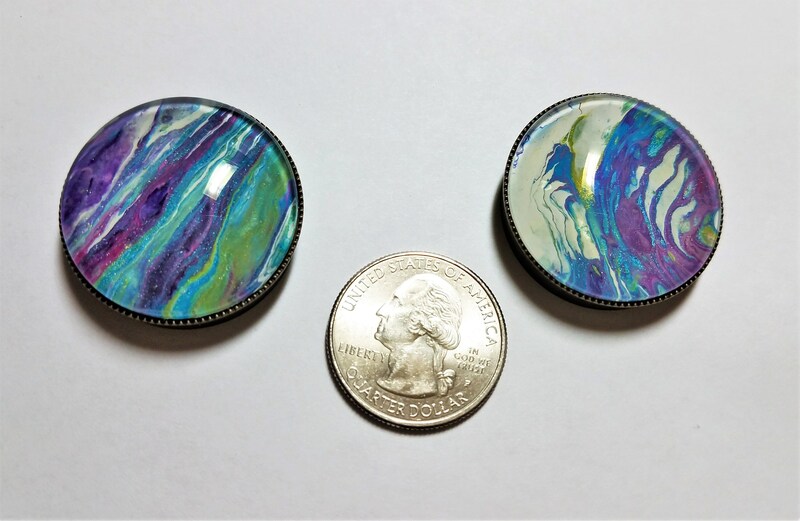 Each magnet is constructed of a hand painted abstract design, enclosed in a 30 MM glass dome and antique bronze cabochon. 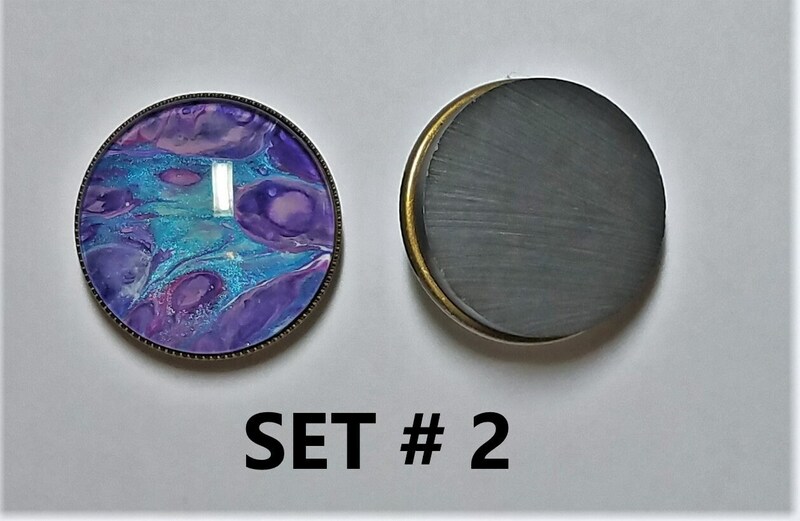 A super strong 30 mm magnet ensures that your papers and notes remain secure to your message board or locker. 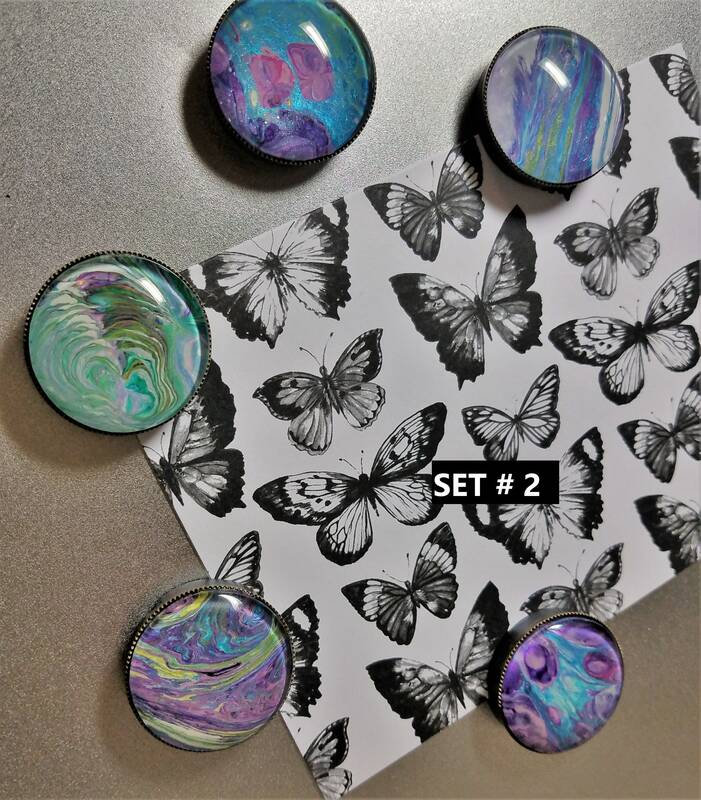 Choose the set you'd like to purchase from the drop down menu above. 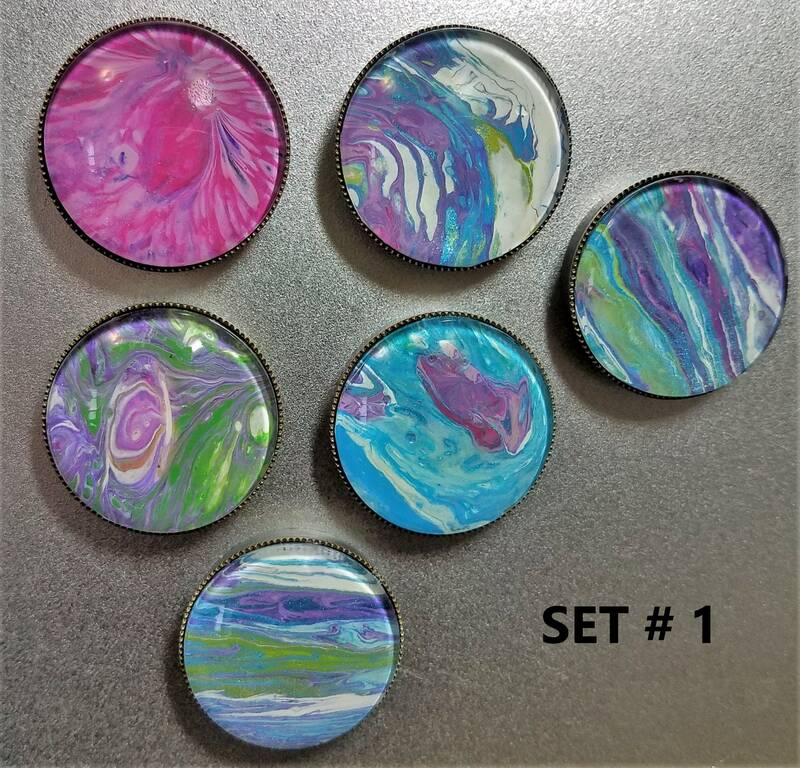 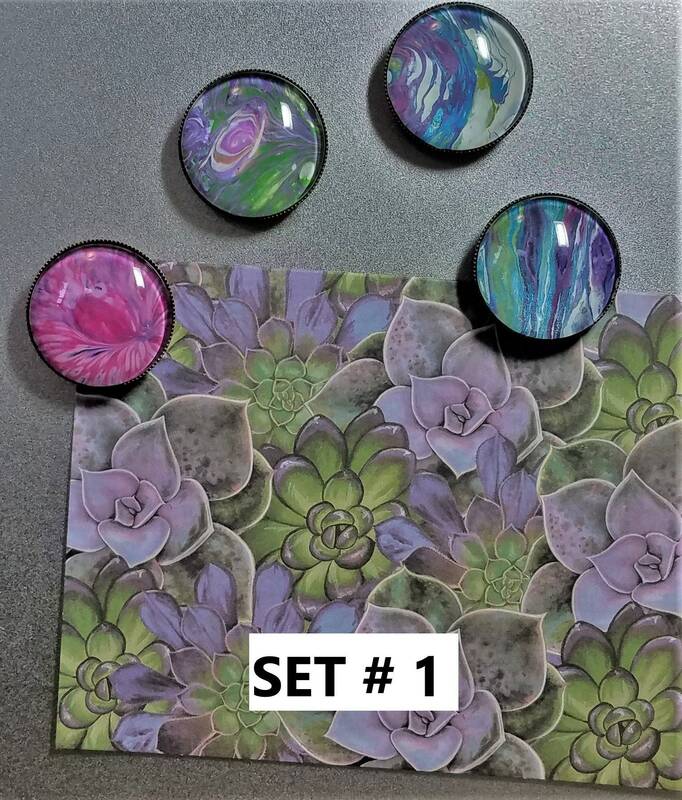 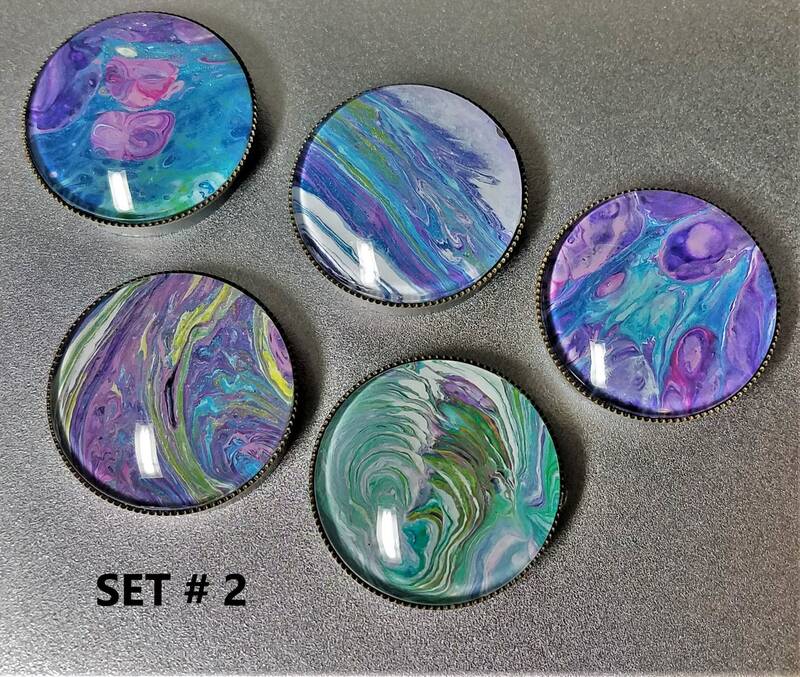 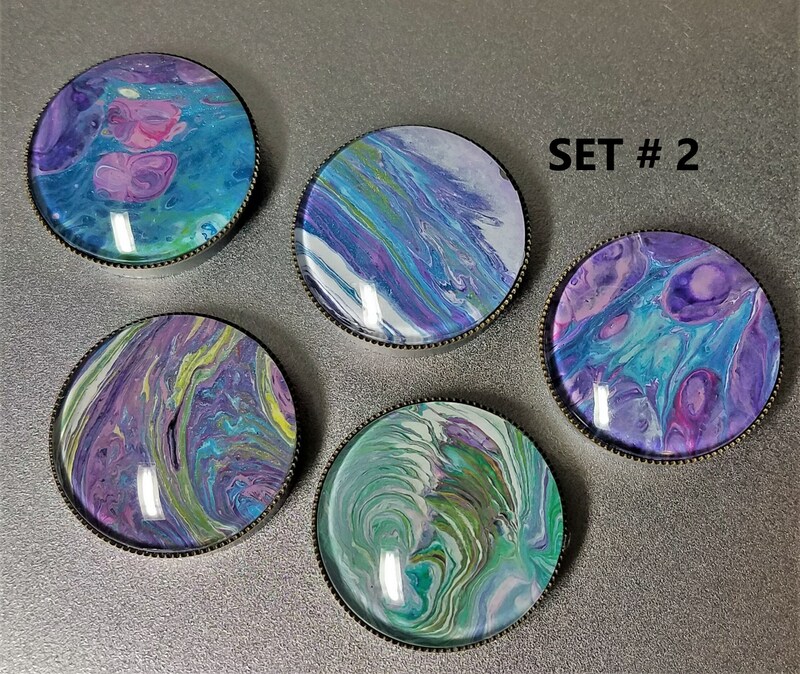 I offer FREE SHIPPING on these colorful magnets!